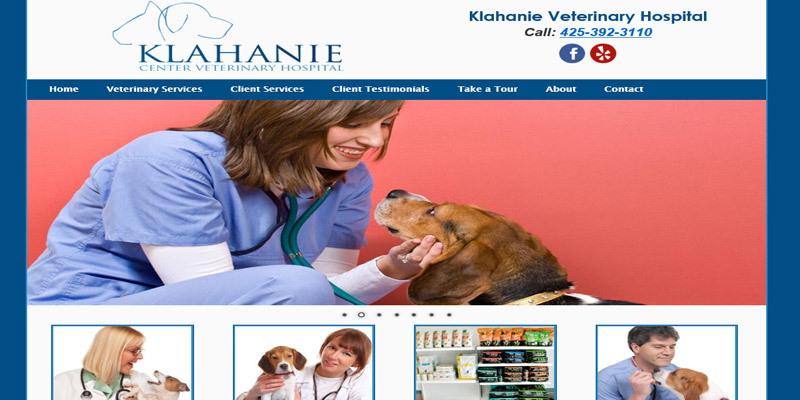 We specialize in mobile website design for veterinary clinics and pet hospitals. If you own or operate a small veterinary clinic or pet hospital and want to make it easy for pet owners to find you on the web, we can help with that. »When pet owners move to your area or adopt a new pet, one of the first things they do is look for a local veterinarian, vet clinic, or pet hospital, and a big part of that search is made online. 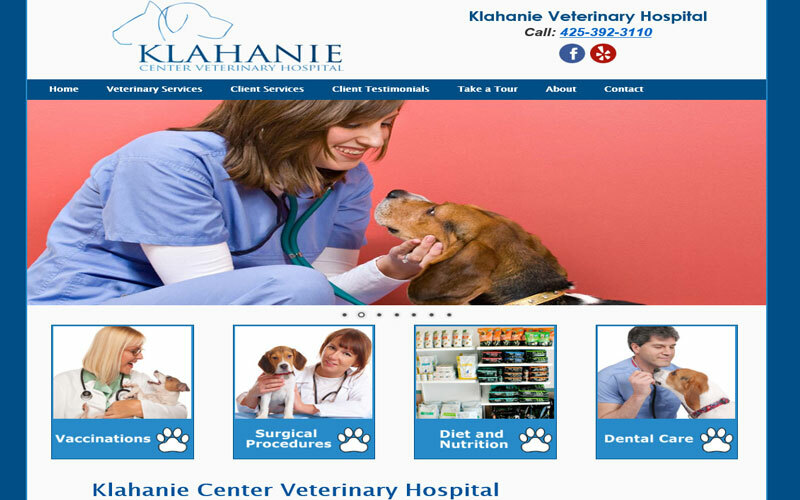 Providing a professional, informative and mobile veterinary website can help make potential customers become more inclined to call you or stop by for a visit. You also may want to keep your current and future clients up to date on the latest information on pet breeds, pet food, pet health, and more. A website is the number one way to capture the interest of new clients and keep your current clients informed of the latest news and information related to their pets. "We have had the pleasure of working with All Seattle Web Design. They have helped us build two completely different websites over the last seven years. On both occasions their level of professionalism, attention to detail, creativeness, timeliness and cost relative to other web designers has been beyond reproach. I have personally researched hundreds of websites that are veterinary related, and NONE of them compare in quality to what they have designed for us." – Pet owners search the internet daily for veterinary services. If you want to attract these potential clients to your practice, a professional and attractive website is essential. We can help you capture these prospective clients by presenting your veterinary clinic or pet hospital professionally, with complete information about the products and services you offer. 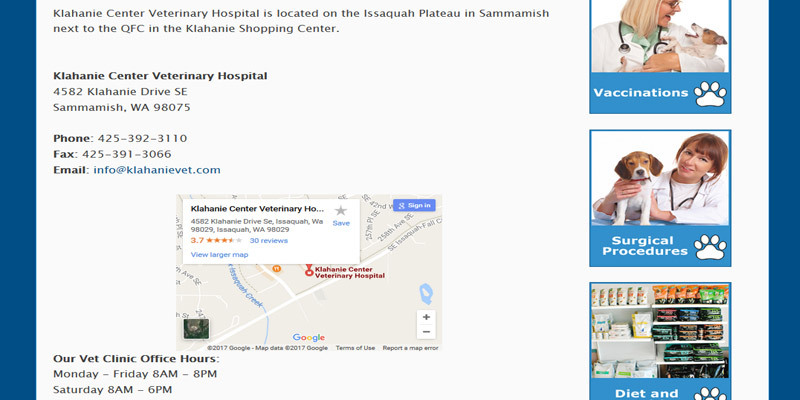 By providing a full list of veterinary services, interactive map with contact information, contact form, online appointments, photo slide shows, customer reviews, and more, your pet hospital or vet clinic is more likely to attract the new clients you're looking for. – Marketing! With every website we design, the number one priority is search engine optimization (SEO), because that's one of the most cost effective ways of attracting potential clients to your veterinary clinic or pet hospital website. We can help set up your free Google account, and our search engine marketing expertise can help make sure that your veterinary clinic's website ranks well on Google and other search engines so you can reach the clients you're targeting. – Email newsletters is another area we can help with. It's a great way to stay in touch and network even more local pet owners looking for quality veterinary services. 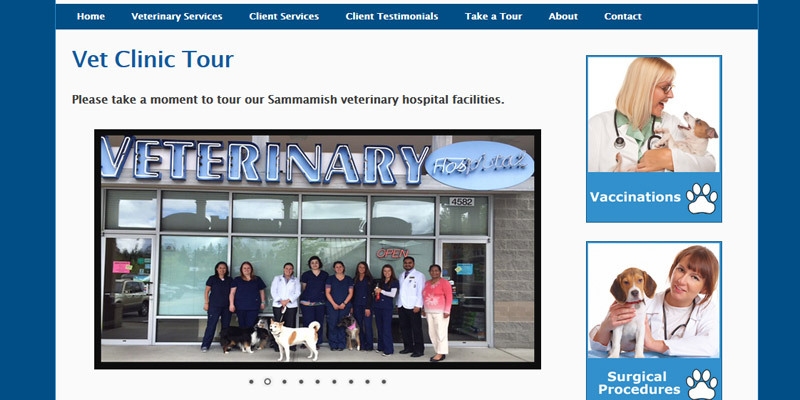 – We have helped a number of veterinary clinics and pet hospitals in the Seattle area extend their local branding power by creating professional and informative websites that showcases their veterinary practice. 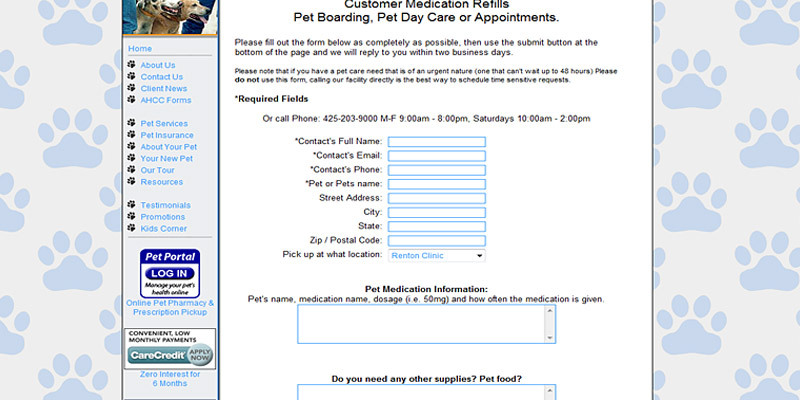 Take a look as some of the samples of our vet clinic and pet hospital website designs below.